Improving was once again a proud Diamond Sponsor at Houston TechFest on September 24th, the largest technical conference in South Texas. The free conference was held at NRG center inside NRG Park. This was Improving’s 7th year sponsoring, and it was the best yet. There were over 1,200 technologists that came through the door to learn tips, tricks, best practices, and career advice from over two dozen speakers. This year, we had 7 Improvers give 13 talks throughout the day to packed rooms. 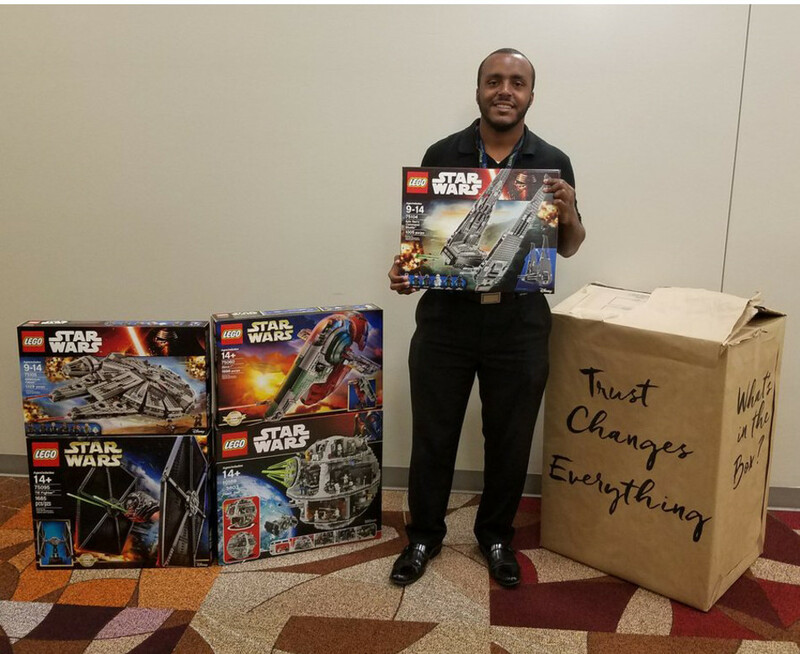 We capitalized on our ‘Trust Changes Everything’ branding with a fun twist of ‘What’s in the box?’ No one knew what we were giving away, but they were all anxious to find out. 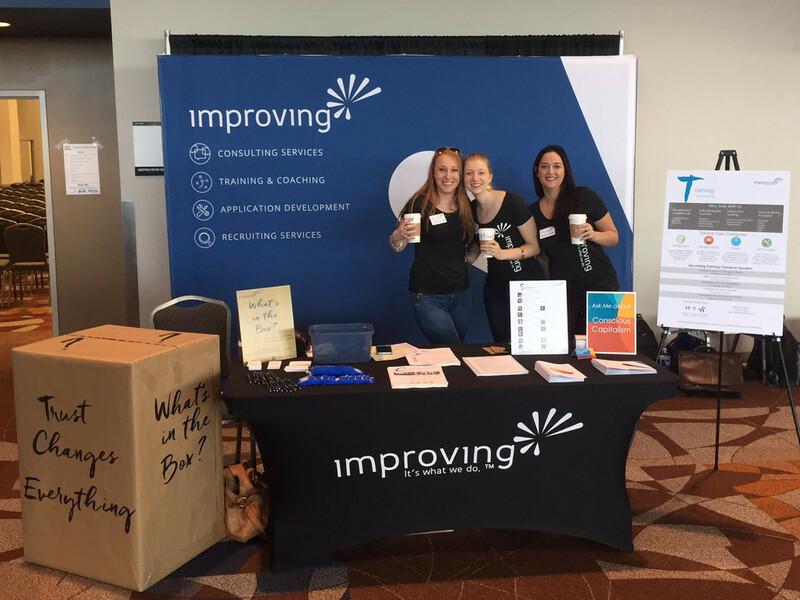 Improving is known for our awesome give-a-ways at this conference, and this year was no exception. We capitalized on our ‘Trust Changes Everything’ branding with a fun twist of ‘What’s in the box?' No one knew what we were giving away, but they were all anxious to find out at the end of the day. And when the time came, it was revealed that there was a large collection of Star Wars Legos.